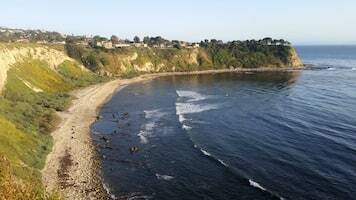 Palos Verdes Estates, one of the four cities on “The Hill,” is a predominantly residential city with a small population of just over 25,000. Palos Verdes Estates, or “PVE” as known by some, is home to upscale homes and, in some areas, nice views of the Pacific Ocean. Its residents are largely Caucasian, although there is a recognizable number of Asians and a very small number of Persians, Hispanics and African Americans. The City of Palos Verdes Estates has its own police force, with its own small jail. There are two cells for males, each capable of holding four prisoners. There is also a female cell, capable of holding four females. According to the police officers there, it has only been filled up completely one time. The police officers have four or five police cars on patrol at all times. “PVE” is a bedroom community for many who work in the general Los Angeles area. 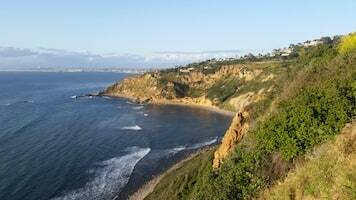 It is bordered by Rancho Palos Verdes to its south and east and Rolling Hills Estates and Torrance to its north. To the west of the city is the Pacific Ocean. The most common case we see arising in PVE is a driving under the influence case. It may be that a suspect is returning from Terranea from the south and spotted speeding or running a stop sign along Palos Verdes Drive West, or returning to PVE from the beach cities (Redondo Beach, Hermosa Beach, Manhattan Beach) and stopped in Malaga Cove. The Palos Verdes Estates police do make a high number of traffic stops in the Malaga Cove area, nearly in front of the police station. The second most common type of case out of PVE is domestic violence. These can arise anywhere in Palos Verdes Estates. Our office has also handled vandalism and marijuana cases involving juveniles arising out of PVE. The city does not have too much of a crime problem. The police keep active, however, in issuing traffic tickets and occasionally, finding a person in possession of a controlled substance or marijuana. One reason the city has a relatively low crime rate is that it only has a few roads into it and out. To the north, there is just one route in and out and that is Palos Verdes Drive North, as it connects with Palos Verdes Boulevard. To the south, there is only the connection with Palos Verdes Drive West as it connects with Rancho Palos Verdes. To the east, there are several “ingress and egress routes,” but they are also limited. 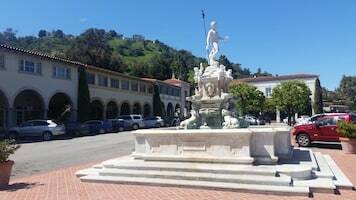 There is Via Valmonte, Palos Verdes Drive North and Granvia Altimira / Montemalaga Drive, but these latter two routes are mostly only known by locals.